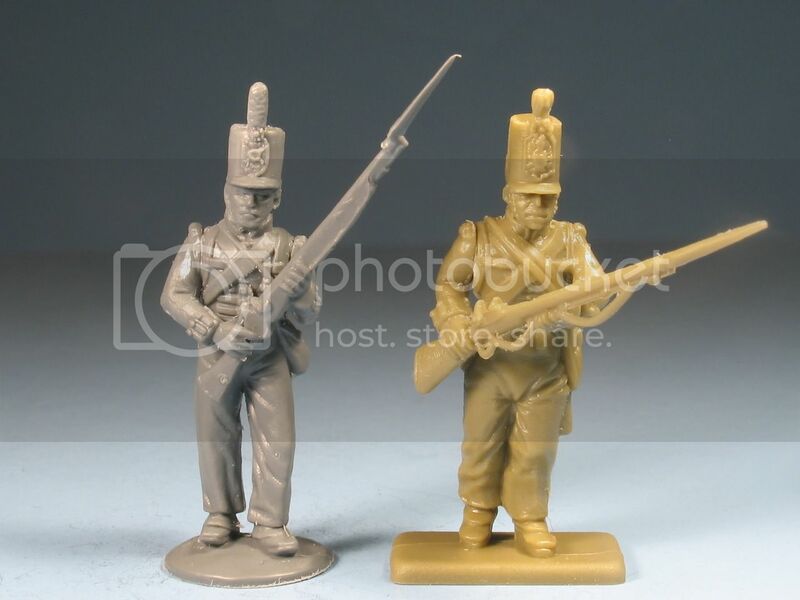 Also any pics comparing Perry, Victrix, Front Rank and Calpe? where pretty much everything is a mix of Victrix and Perry – Victrix have square bases and Perrys are round. Here are a few of Perry vs Victrix. Brilliant chaps – very useful. From what I've seen so far I could get away having units of Perry alongside Victrix. @ Lord Hill – That is some project you have there All those kilts?! Thank you for the link to your blog, very inspirational and now bookmarked. @Michael many thanks to you photobucket – great photos there and given me some food for thought! I really like Lord Hills blog as well. I came across it a while back and he shows just how well these two ranges mix. I don't have any Calpe figures. Here are Calpe and Perry comparison! More greta photos comparing – many thanks Camcleod and HussarL. Looking at them it seems that Alban and Offensive and possibly Foundry are very similar and compatible with one another. Where as, Perry, Victrix and Front Rank are similar in height but girth is slightly different. "decisions, decisions, decisions" is good place to be and a lot better than no choice at all. You are so right sir!